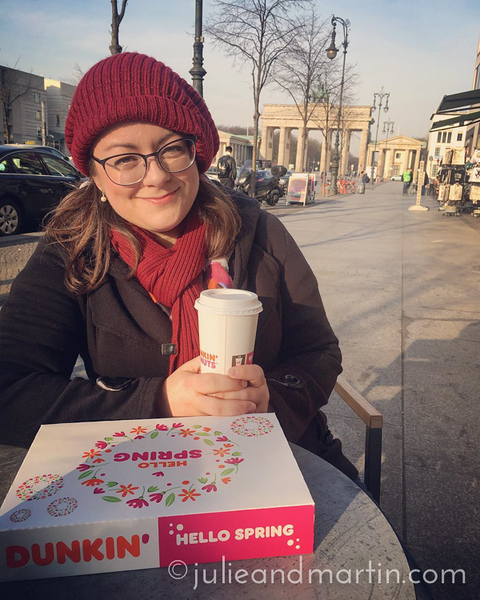 8:31 a.m. – After waving at the cameras outside the Russian embassy, we crossed the street and found good, ol’ American donuts and coffee (and Red Hot Chili Pepper tunes) next to the Brandenburg Gate. 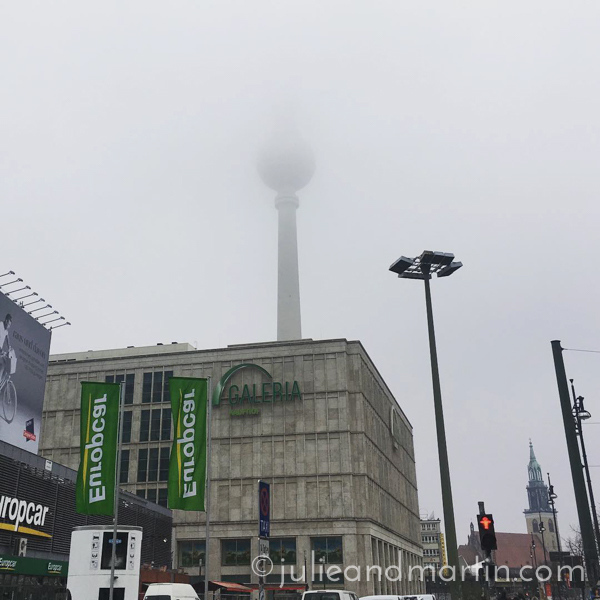 They’re not pancakes, but still … a perfect welcome to Berlin! 9:43 a.m. – Fun fact: I have a bunch of photos of my backpack plopped down next to me in front of sandbag walls all over Iraq and Afghanistan. 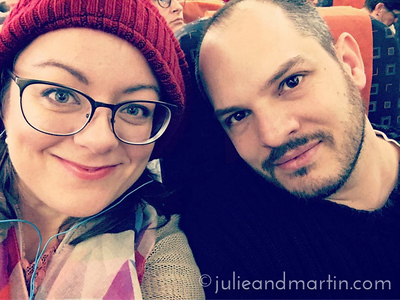 Martin remembered that as I posed for this. 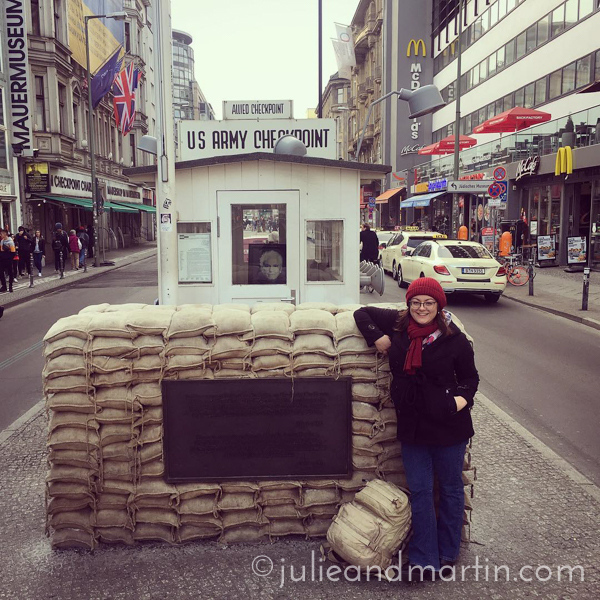 So now I have a pic with it in front of Checkpoint Charlie. That bag’s been places. 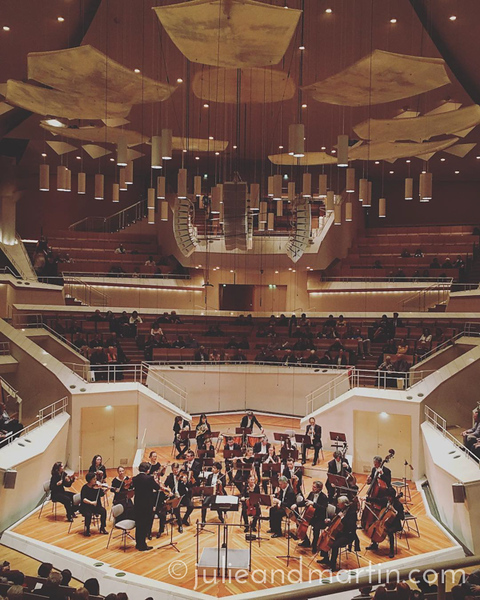 10:05 p.m. – Chamber music at the Berlin Philharmonic. In a sweet coincidence, they played Mendelssohn’s Wedding March as the final piece.